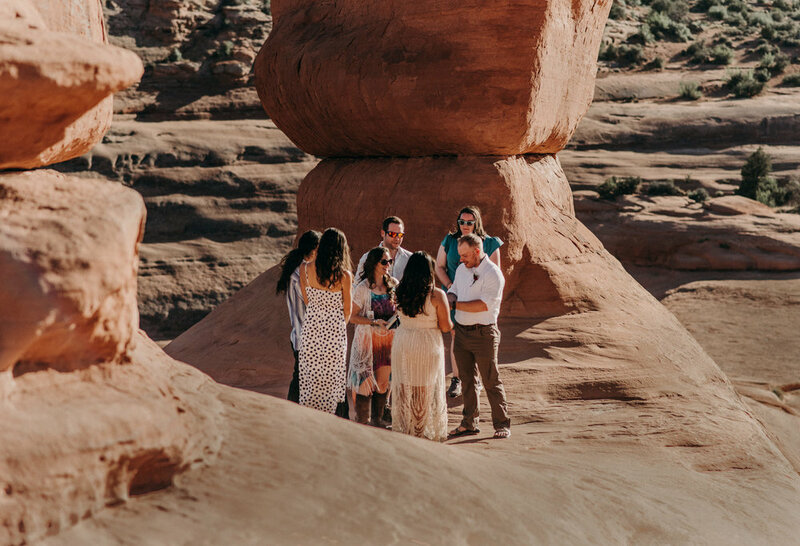 Janelle and Luke's Delicate Arch elopement was so epic and perfect!! Arches National Park in Moab is an awesome place for a destination elopement or wedding and it was so fun to capture their story there. 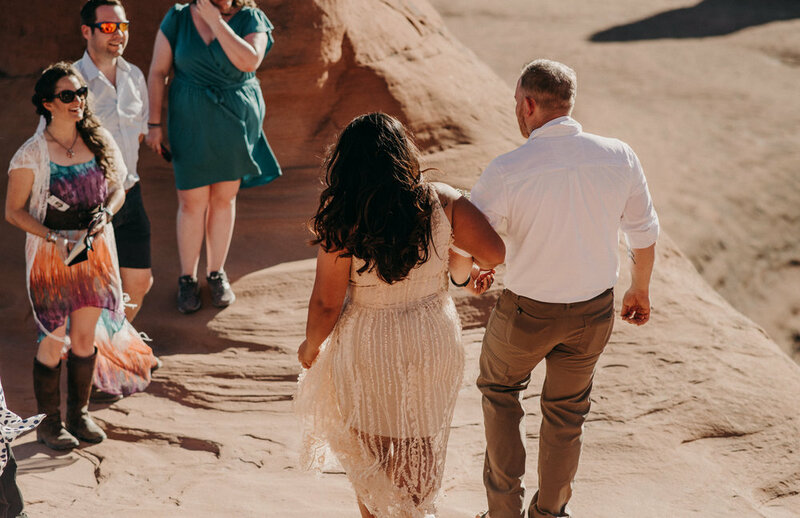 Janelle and Luke are both Colorado locals, so when they invited me to come along to capture their elopement in Moab I was so excited!! These two are super adventurous and love rock climbing, so I honestly can't think of a more magical place for the two of them to start their forever. Janelle and Luke rented a big Airbnb for the weekend and invited me to stay there with them and a few of their closest friends. It was so special to be a part of all of the festivities and get to spend so much time with the two of them and their friends. I spent the weekend hiking and exploring the park, which was so fun! As much as I love the mountains, the desert is super magical too. The day of their ceremony was so relaxed and full of love. We all started the day with a huge breakfast at a local diner in Moab, and then headed back to the Airbnb to get ready. Once we were all ready, we headed into Arches National Park to make the hike to the Delicate Arch. The arch was even more beautiful than I was expecting!! We had their ceremony under the arch, and after that wandered around the path on the way back taking photos in a bunch of pretty places!! It was so fun! After we were done in the park, we headed to a local brewery for beer & dinner, and then all headed back to the Airbnb for drinks after! It was the most special day to be a part of and I felt way more like a guest than a photographer.